The Ag-Celerator is a $2 million fund devoted to supporting the commercialization of technologies impacting plant sciences. In 2015, the College of Agriculture and the Purdue Research Foundation co-founded the Ag-Celerator fund as part of the Purdue Moves program. The program is managed by Purdue Ventures, the investment arm of the Purdue Foundry. Heliponix and Karyosoft each received $50,000 investments. All finalists presented their innovations to the Ag-Celerator Selection Committee, which included judges Mark White of Prairie Crest Capital, Pat Morand of Open Prairie Ventures and Kyle Welborn of The Yield Lab. 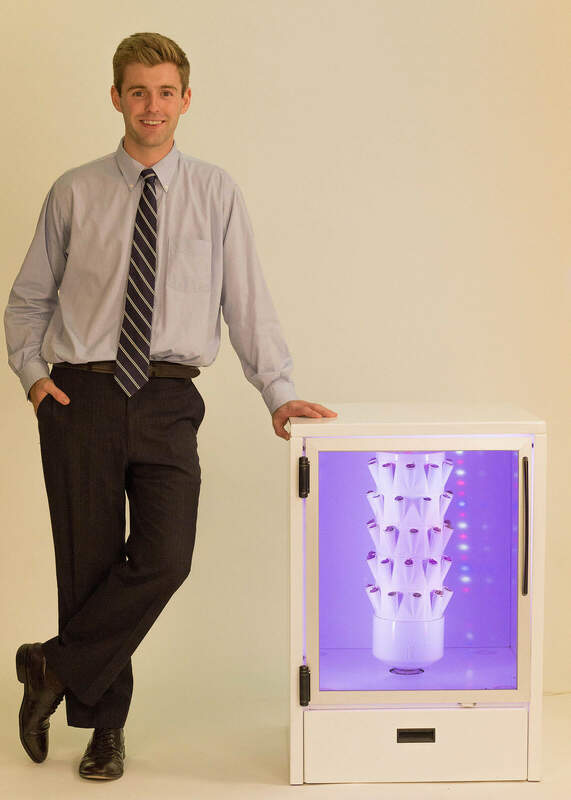 Purdue Polytechnic Institute alumni Scott Massey and Ivan Ball co-founded Heliponix to build GroPod, a fully automated aeroponic appliance growing clean produce in consumers' homes for daily harvest. The in-home greenhouse creates perfect climate conditions for a variety of crops, including spinach, cilantro and arugula. Heliponix will use its Ag-Celerator funding to expand GroPod production capacity to meet a large demand. Massey will also lead a sustainable farming and hydroponic systems workshop for African farmers in January 2018 with funding from the Department of State. Read more about Heliponix and GroPod here. Karyosoft, founded by Rajesh Perianayagam, is helping microbiome biologists to analyze genome data with Loci, a software platform that accelerates biologists’ time-to-market for their innovations and improves data integrity and cost efficiency. Loci helps biologists research microbes that could improve crop production, animal health and even advance cures for cancer, diabetes and Crohn’s disease. Karyosoft will invest its Ag-Celerator investment for their next goals including the advancement of Loci 1.0, development of Loci 2.0 and marketing both products resulting in an increased customer base. 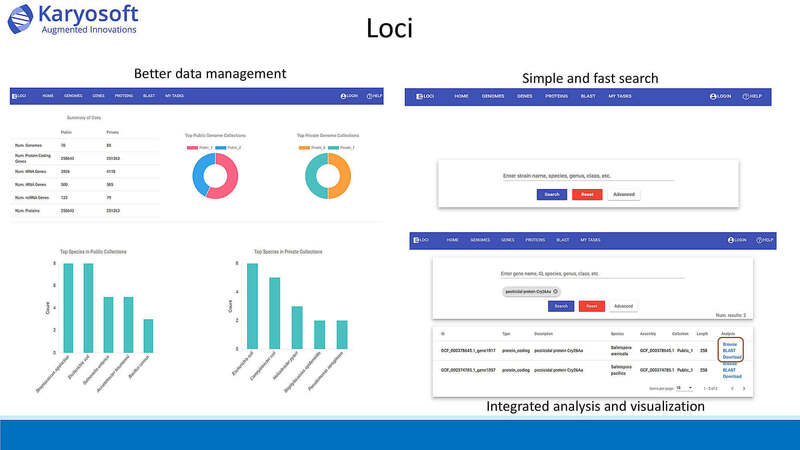 Read more about Karyosoft and Loci here. 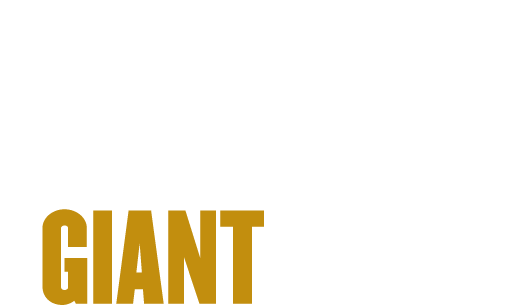 The Ag-Celerator aligns with Purdue's Giant Leaps celebration of the university’s global advancements made in health, space, artificial intelligence and sustainability highlights as part of Purdue’s 150th anniversary. Those are the four themes of the yearlong celebration’s Ideas Festival, designed to showcase Purdue as an intellectual center solving real-world issues.